Capture the innocence of a little girl forever holding her cat close to her heart. 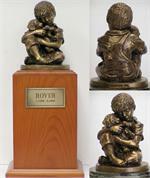 Made of cold cast bronze,(resin w/bronze filler) the sculpture is highly detailed right down to the little girl's fingers. Comes in your choice of Cherry (as shown), Walnut or Oak base. Engraved name tag with pawprints, measuring 2.5" x 1.25", is optional and may be ordered here for an additional charge. Holds up to 35 cu.in. 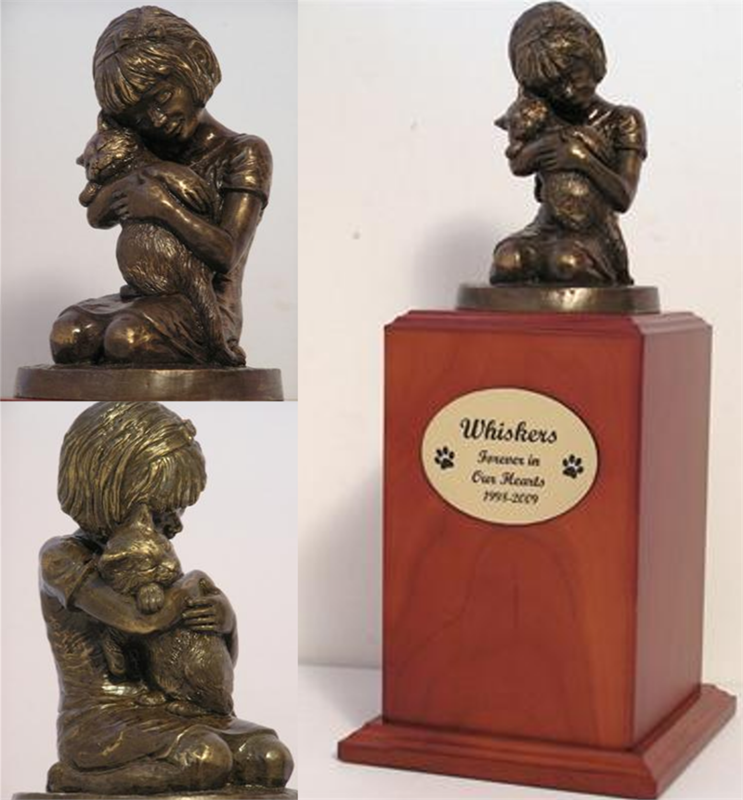 Would you like to add the engraved tag to your urn?